Expatriate Insurance for U.S. or non-U.S. Citizens | Expatriate Travel Medical Insurance | IMG Europe Ltd.
For Patriot Travel Medical Insurance. You have enough to worry about when you're traveling. Don't let your medical coverage be an uncertainty. IMG has developed two Patriot Travel Medical Insurance plans that offer a complete package of international benefits available 24 hours a day. 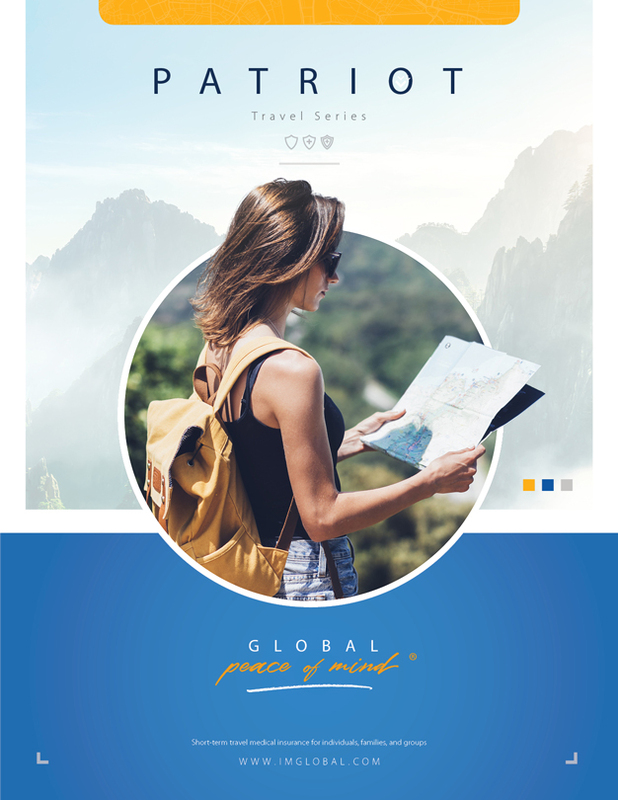 Patriot International® provides coverage for U.S. citizens traveling outside the U.S. with coverage for brief returns to the U.S., while Patriot America® provides coverage for non-U.S. citizens traveling outside their home country. Both plans are available for a minimum of 5 days up to a maximum of two years. Additionally, the plans offer excellent benefits and services to meet your global needs. You have access to international, multilingual customer service centers, claims administrators who process claims from all over the world, handling virtually every language and currency, and 24 hour access to highly qualified coordinators of emergency medical services and international treatment. You can also choose from a wide range of deductibles, several Maximum Limits, and you have access to more than 17,000 providers when seeking treatment outside the U.S. using our International Provider AccessSM (IPA). You can also reduce your out-of-pocket costs when seeking treatment in the U.S. by locating providers through the independent Preferred Provider Organization.